During the spring semester, one of our team members, Prof. Theodora Dragostinova, is teaching an undergraduate research seminar on migration in modern Europe. 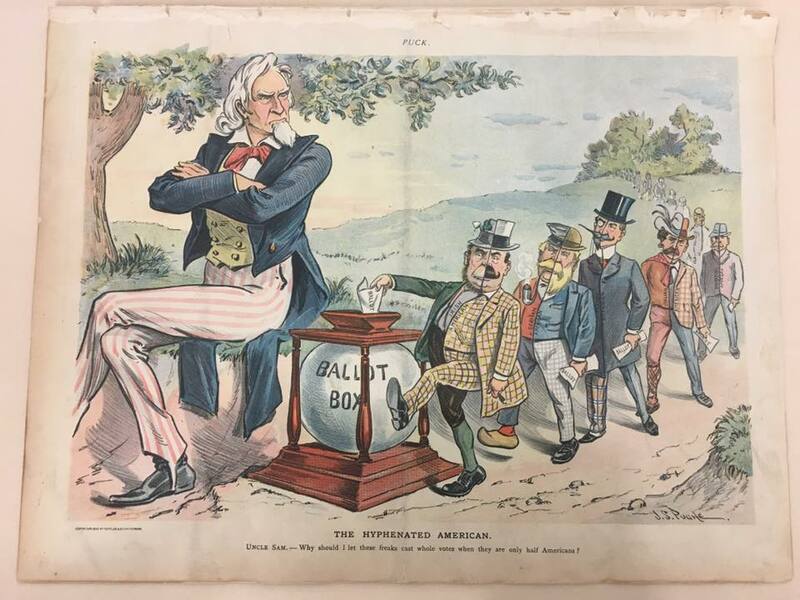 In an effort to utilize OSU resources, the class visited The Billy Ireland Cartoon Library & Museum and analyzed historical cartoons dealing with the topic of US immigration in the late 19th-early 20th centuries. 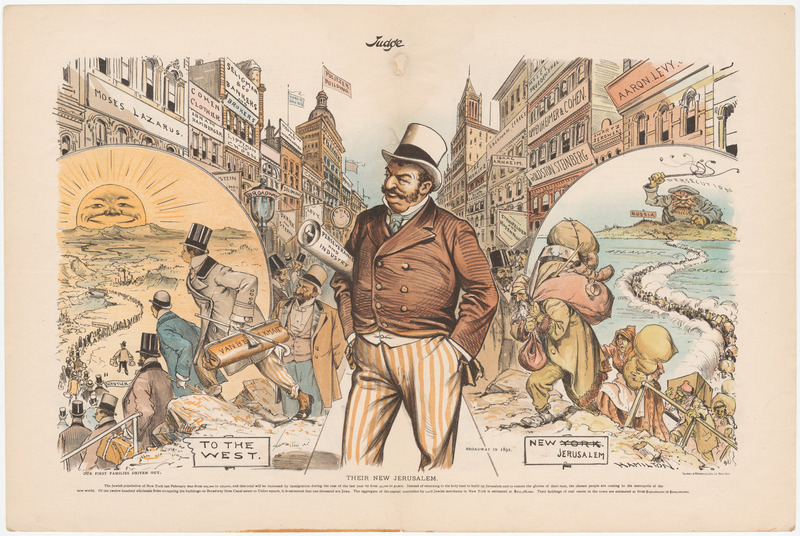 Not surprisingly, many of the issues featured in these cartoons are still being debated today. Summary: Allegorical cartoon showing Russian Jews driven out of Russia, entering “New Jerusalem” (New York) and prospering, thereby causing “our first families” (Dutch surnames) to be “Driven out, to the West”. 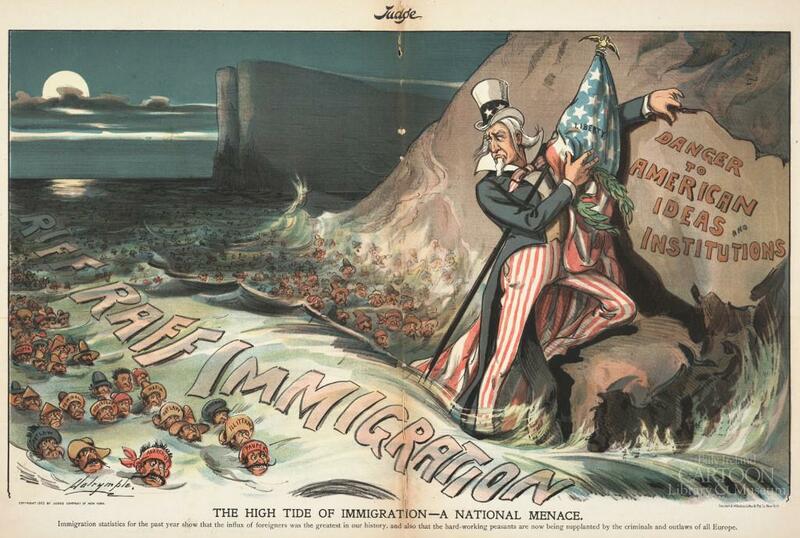 Summary: In the mid-1880s the number of immigrants to the United States from northern and western Europe declined sharply. At the same time, the number of immigrants from southern and eastern Europe greatly increased. The changing pattern of immigration concerned many Americans. Different perspectives on immigration are personified in this cartoon: Uncle Sam is looking for hard workers to fill the nation’s factories. The political boss wants the immigrant vote. The contractor is looking for cheap labor. The health inspector worries that immigrants carry contagious diseases. The worker fears lowered wages because immigrants were willing to work for less. The middle class man claims the new immigrants are a menace because they represent “inferior” European “races” and religions. 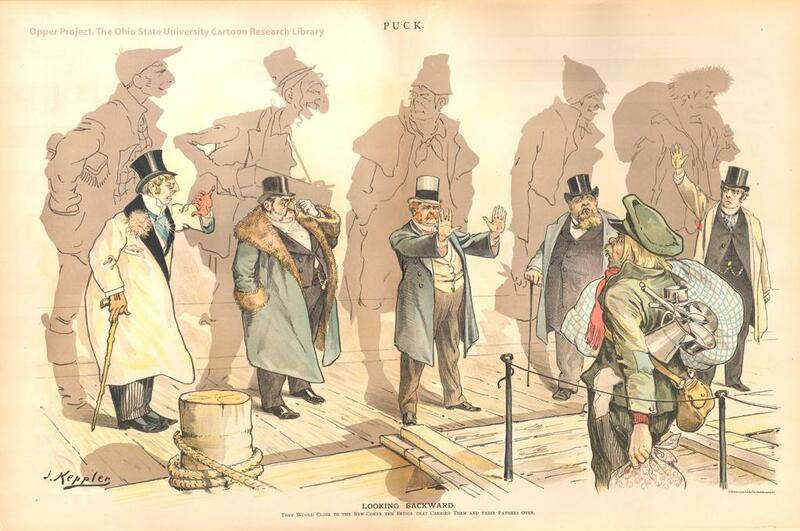 Summary: In the mid-1880s the number of immigrants to the United States from northern and western Europe declined sharply. At the same time, the number of immigrants from southern and eastern Europe greatly increased. 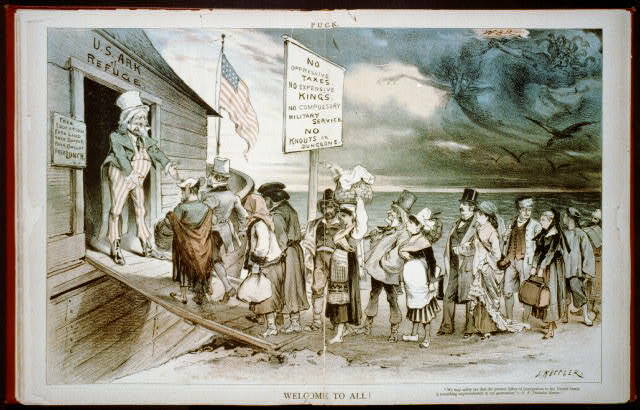 The changing pattern of immigration concerned many Americans who believed the newcomers represented, in the language of the time, inferior “races” of Europeans. 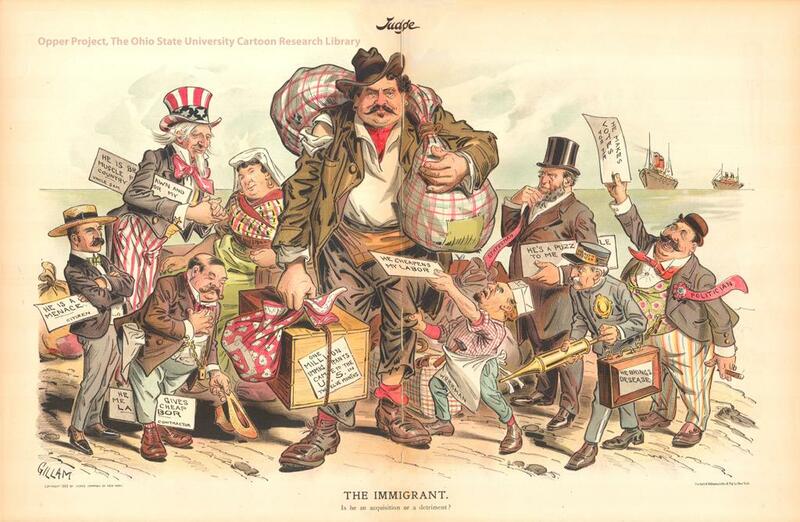 The new immigrants were overwhelmingly non-Protestant Christians—either Roman Catholic or Orthodox—or Jewish and thus not Christian at all, which disturbed many Protestant Americans. 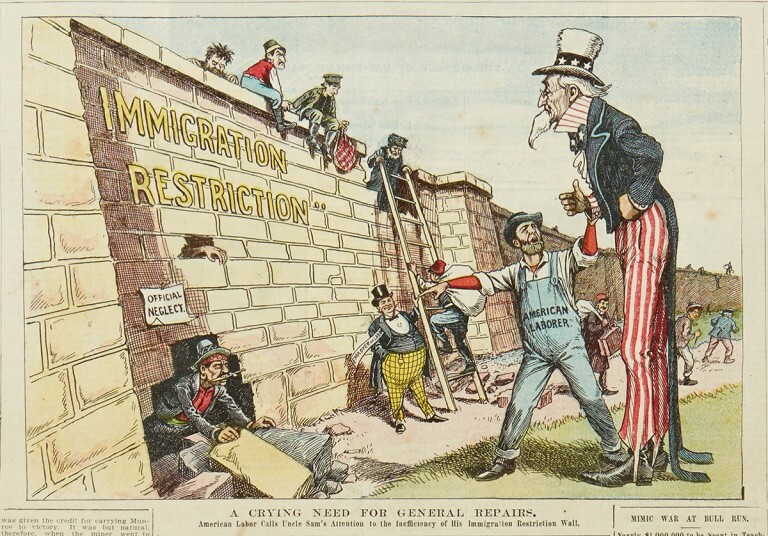 This cartoon makes an ironic commentary on the children of immigrants rejecting the arrival of new immigrants. Publication Date: August 9, 1899.